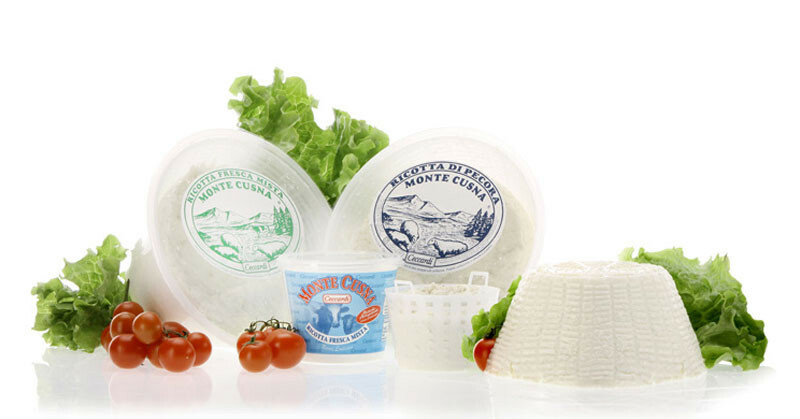 Ceccardi brand is renowned also for its exclusive fresh Ricotta cheeses “Monte Cusna”, that still today are handicrafted according to the traditional method of natural surface skimming. They come in fresh, light flakes. Available in both varieties, from sheep and from mixed milk; you can find them at the cutting counters in their large format or on the shelves in their 300 g packaging. In your kitchen they make an excellent ingredient for typical regional dishes such as tortellini or crespelle, but can also be served as a light and tasty main course.